Do you know what this expression means? It means that, if there was any danger ahead, there isn’t anymore. You are free to go, no one will see you. 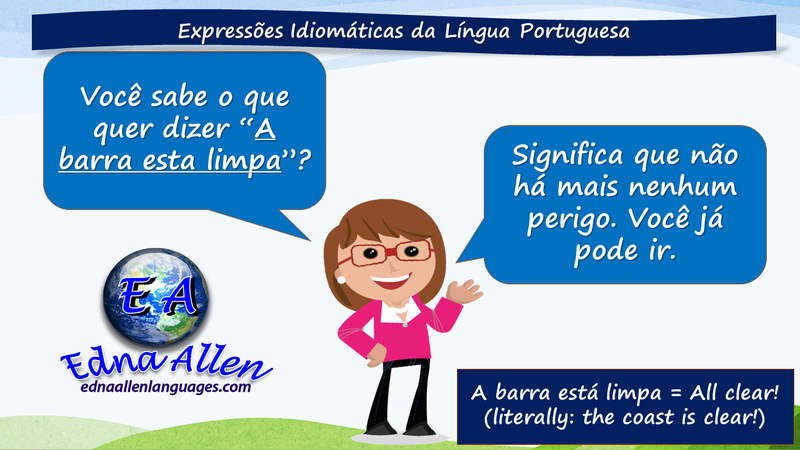 So, go ahead because: “A barra está limpa!” (All clear!). Do you know any other useful expressions?